This home for a mother and her four children needed to be functional, efficient and beautiful. The family wanted a warm house that would spontaneously welcome neighbors and friends. 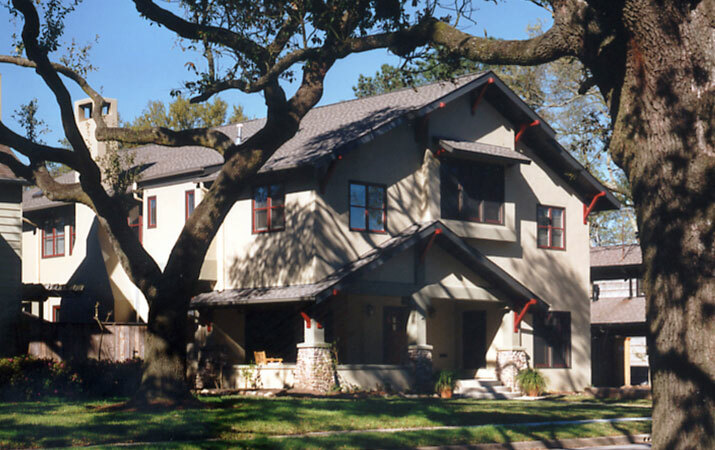 Inspired by the early 20th century Craftsman style, the house offers big porches and large overhangs to protect the house from the Texas sun. The placement of windows and an attic fan encourage natural airflow through the interiors. The planning of the house incorporates modern concepts of casual living and a combination of open gathering areas and intimate rooms.